By now, I’ve got a little more than a month in Greece under my belt. Now I can say that I’ve traveled it solo and accompanied, and both were majestic. If you didn’t realize that a lot is happening economically in Greece right now, you’ve probably been living under a remote rock somewhere. Their economic crisis and the political turmoil that is part of that has made an impact on tourism in Greece, too, which is a bummer when you think about the fact that last year, 16.5% of Greece’s GDP was based on tourism. So, here are a few things I’d like to share about my time in Greece, in case you’re having doubts about traveling there! 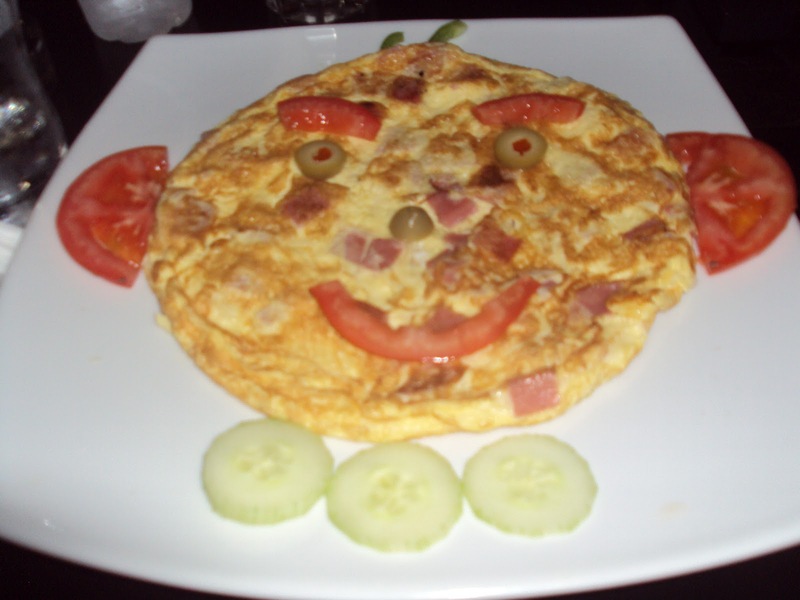 I ordered an omelet for dinner one night and this is what I got! Whimsical! The food. If you’re anything like me, you like to eat. A lot. Food is one of my favorite things, and I strongly believe that sharing food is a huge part of sharing in a community’s culture. Greece is no different, and lucky for us travelers, the food here is wonderful! Like seafood? No problem! Pretty much anywhere you go in Greece, the seafood is guaranteed to be fresh and pretty local. Vegetarian? Definitely no problem! Tons of salads and vegetable options grace tavern menus. Need gluten-free? Also not an issue, especially if you eat meat. Can’t really help you vegans out; pita is the shiznit, so you’re missing out. But again, the produce in Greece is incredible, and you won’t find better cherries anywhere. My favorite Greek foods are their traditional yogurt, horiatiki (which is basically what in America we call a “Greek salad:” olives, tomatoes, onions, and a HUGE chunk of feta to top it off), and biftekis gemistas, which are stuffed hamburgers without a bun, essentially. There are dozens of other incredible foods that I love there, but those are some standouts. Oh, and of course don’t forget to try the pita souvlaki! The transport. Getting around in Greece is quite easy, despite the fact that they don’t even have the same alphabet! The KTEL bus system goes almost everywhere you could want it to go, and since the national train service has been cut quite a bit, it’s a lot quicker generally to travel on the busses. We did take the train, and that was great, too, although it’s running less and now there are no international trains out of Greece (so don’t try to get on one bound for Turkey; you’ll be waiting for Godot for that one). Sometimes it’s tricky to find schedules on the KTEL website, because each region has its own site. Generally, hotel and hostel folks are very helpful in figuring these things out, though, so I never had a problem, even when I was traveling on my own. For tips on navigating from BusStation A to Bus Station B, check out my post! In Athens, at least, the metro is super easy to navigate, thanks to the 2004 Olympics. There’s a direct train from the airport into the center of the city, and you can buy a ticket that’s valid for both bus and metro, in case you need to transfer. Ferry travel is relatively easy to organize, although you might be advised to stick with a Greek travel agent for that. We were able to book our overnight ferry to Santorini no problem, but figuring out where to pick up the tickets caused some confusion. Greece still has jobs for travel agents, so you shouldn’t have a problem finding one in Piraeus or in the cities; they can book your ferry and accommodation, which is helpful because not all the ferry times are online. Overall, though, I found Greece super easy to get around in, even all by my non-Greek-speaking self. The sights. Greece truly has something for everyone. If your dream vacation is lying on a beach with a drink in your hand, go to the islands. You’ll see some of the world’s greatest beaches and most picturesque sunsets. Prefer something more outdoorsy, like hiking? That’s cool, try Olympus or hiking up to the monasteries in Meteora. If history is your cup of tea, then Greece is definitely one of the top places to be. The Acropolis (and essentially everything in Athens), ancient Olympia, Mycenae, Epidaurus, Rhodes, Crete, Santorini…all of these places have notable ruins and interesting histories, and that’s barely scratching the surface. 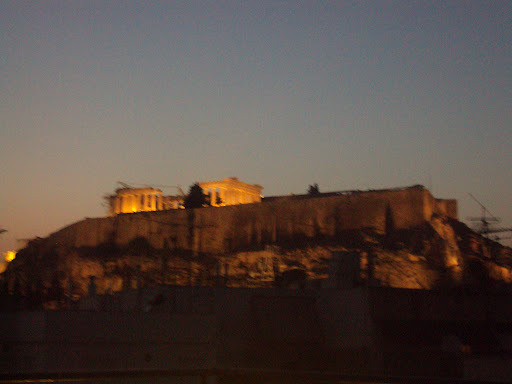 These reasons are not the only ones I loved Greece, but they are some big ones. It’s helpful that the Greek people I encountered were, without exception, eager to help me have the best experience possible in their country; whether it was the locals advising Boris and me on where to eat dinner, or a periptero owner directing me to the bus stop, folks weren’t bothered by my lack of language skills, nor did I feel talked down to for being a tourist. Most Greeks speak English (many of them really well), but even if they don’t, a general eagerness to communicate exists. A final note about safety in Greece: last year, headlines were rampant in American newspapers featuring the riots in Syntagma Square and the protests happening in Athens. A lot of people were freaked out about this, especially us danger-wary Americans. The general rule of thumb when protests like that happen is to avoid the areas of the city where protests are happening and you’ll be fine. I had friends who were excavating in the middle of the city and had to go around the protest areas daily; they were fine. 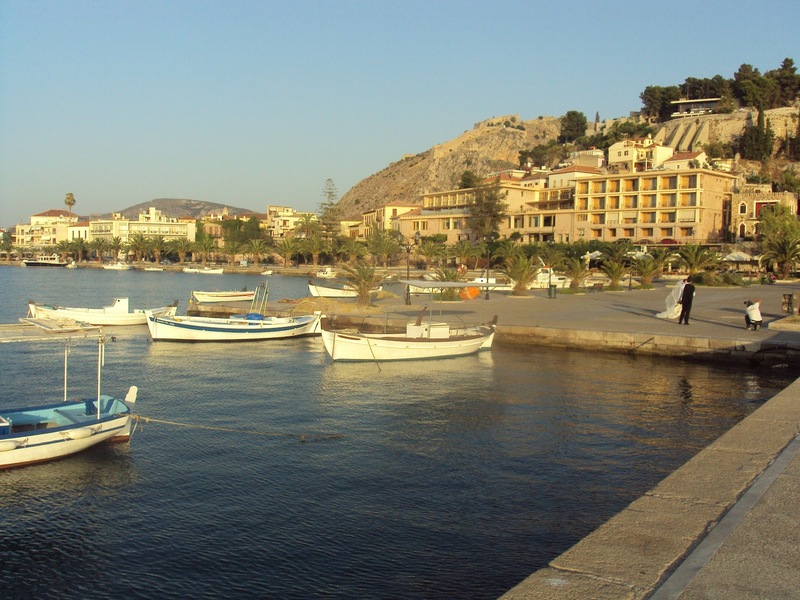 I had other friends who were working in the Peloponnese when things were going nuts; they were fine (if inconvenienced by transportation strikes). Just like anywhere else, if you avoid an active conflict, you should be fine. What I’m starting to learn is that America is actually a much more dangerous place compared to most European countries. There’s my endorsement of traveling Greece. What are you waiting for!? Great post!Bet you wrote it while in Scotland.I am sooo envious!